Forget what the groundhog saw. For Chicago, there’s no better harbinger that the end of winter is nigh than politicians talking about tourist dollars. Mayor Rahm Emanuel has been crowing a lot lately about boosting the city’s national and international profile tourist-wise—we’re up from the bottom slot on the list of the top 10 American cities for tourism to number nine—stressing the draw of theater, architecture, the museums, and the dining scene. Music usually gets a passing nod at best; witness his stumping with Tony Sarabia on The Morning Shift on Jan. 30. To date, the administration’s most concrete steps toward boosting the music scene and improving relations with local musical institutions have been naming Dylan Rice as Program Director of Creative Industries-Music at the Department of Cultural Affairs and Special Events and letting him host the inaugural Chicago Music Summit at the Cultural Center last September. Now the city is sending a contingent to the South by Southwest Music Festival in Austin next month, which it announced with considerable fanfare last Thursday. Yes, well, this may be the Chicago tourism gang’s first SXSW, but local musicians have been a major part of the fest for all of its 27 years. In fact, for many of those shindigs, organizers have said that the biggest contingent of musicians and industry types in attendance from anywhere outside Texas has come from Chicago. 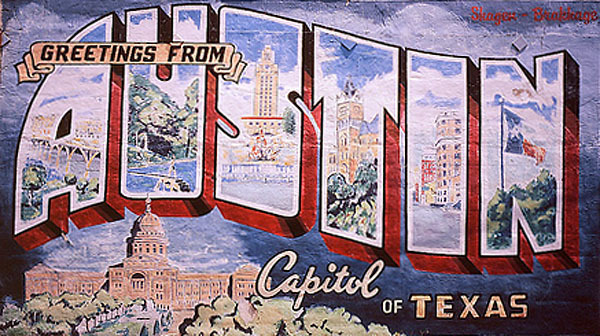 In addition to the bands, local clubs such as Schubas, the Hideout, and Metro have thrown parties at SXSW for decades. Local labels such as Bloodshot, Thrill Jockey, and Minty Fresh have hosted high-profile showcases. And enterprising young souls like local singer and songwriter Tom Schraeder even have arranged Chicago-championing, underground/anti-SXSW events when the big boys weren’t providing enough official platforms for Our Town’s musicians. This year, the Chicago tourism boosters no doubt paid top dollar to present both an official showcase gig at Austin’s Red 7 featuring Chance the Rapper, the Autumn Defense, the Hood Internet, and others, and to host a booth at the trade show in the Austin Convention Center. But as a veteran of 24 SXSW festivals, I cannot see how either will do anything to attract the Nikon-toting, cash-sprinkling army of vacationing tourists that the mayor hopes to draw to Chicago. I’m sure, however, that the tourism contingent will have fun in Austin. Everyone does. Ironically, the Chicago presence at SXSW may actually be down in 2014. In a post in mid-December, Andrew Huff of Gapers Block reported that, “With more than 500 acts announced, fewer than 10 are from Chicagoland.” That number has grown slightly since then, and it may still expand a bit more; SXSW has not yet posted the entire list of bands performing at this year’s official showcases. Yet in all of that crowing last Thursday about increasing Chicago’s presence at the festival, neither the mayor nor any of his tourism gurus bothered to mention an event that had been announced a few days earlier, on Tuesday: The Hideout’s Annual SXSW Send-Off Party. Kicking off at 1 p.m. on Saturday, March 8, everyone’s favorite dive by the garbage trucks on Wabansia will bid a fond farewell and god’s speed to Wrekmeister Harmonies, Ryley Walker, Marrow, Basic Cable, Absolutely Not, Jon Langford & Skull Orchard, Bonzie, Bailiff, Outer Minds, Kins and Radar Eyes. Tickets are $10, and more info can be found here.